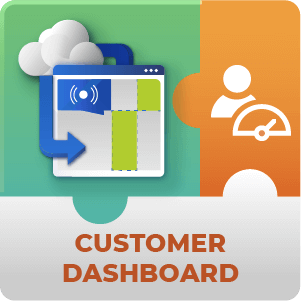 Create a dashboard for your customers to view and track their Ad Changer server campaigns. If you’re using our ad changer server plugin for your WordPress advertising campaigns and you wish to allow your customers to access the reports of their campaigns you need this Add-On to the Ad Manager server. 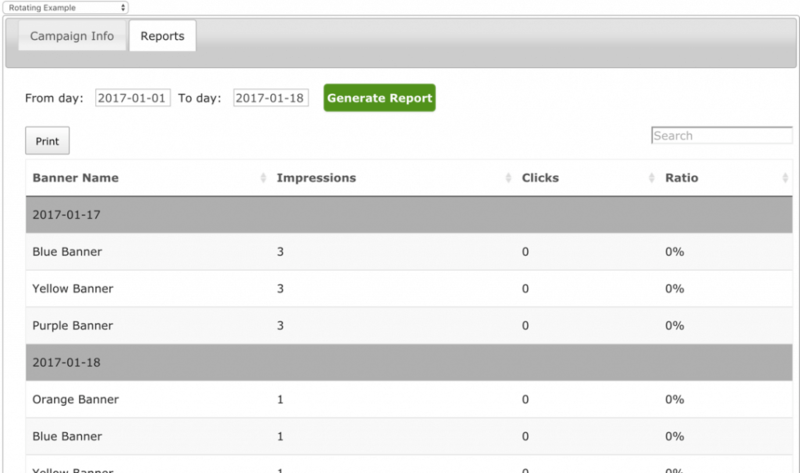 Customer dashboard AddOn will let you assign campaigns to existing WordPress users and allow them to view the campaigns performance in a special dashboard which includes campaign information and reports. Assign Campaigns – Assign existing campaigns in your Ad Changer Server plugin to WordPress users. You can assign a campaign to more than one user. 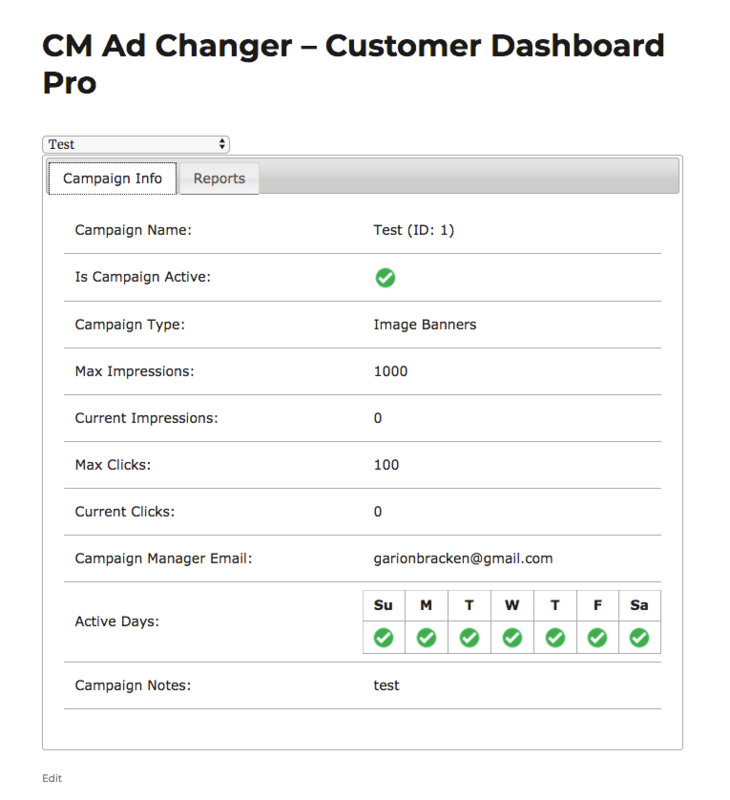 Campaign Basic Info – Customer can view the basic campaign information for each campaign assigned to him. Campaign Reports – Customer can view the campaign performance reports sorted by dates. 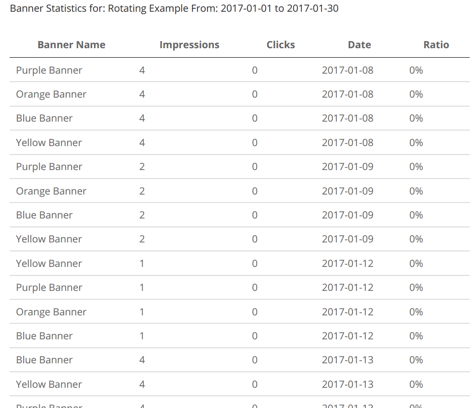 Is there any way to view the results of an Ad Campaign across a specific date range? Yes. 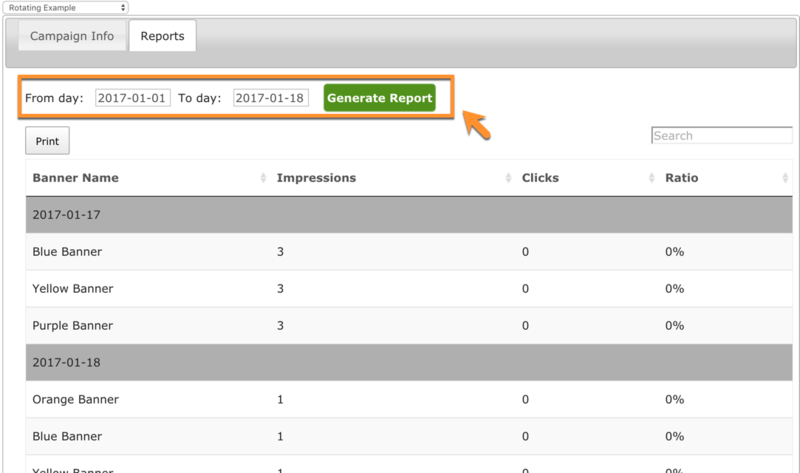 Ads results can be viewed for certain dates. This is done by generating a Report and choosing the From: and To: dates. To learn more about Reports see this Help article. Customers would like to print out reports of the success of campaigns to look over. Is this possible? It is, there’s a built in feature just for this. Go to the Reports tab to “View Reports” and click on the Print button to print out a report for the date range you’ve chosen. Can I decide which site users can and cannot view campaigns through the Dashboard? Yes you can. You decide who can or can’t manage campaigns through the dashboard. This is set in the plugin configuration settings. Where is the Ad Manager - Dashboard Add-On installed? On the Server site or on the Client site? You need to install the dashboard add-on on the server site for it to work. How do I give my users access to the Campaigns Dashboard? 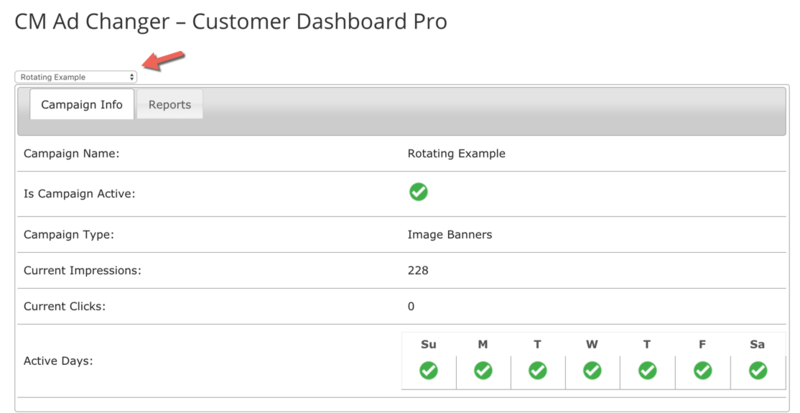 The Campaigns Dashboard is added automatically to a page that is also automatically created for the Dashboard to display on. Either provide the front-end link to this page to your customer or give them a way to access it though your menu or through a link somewhere on your site. You also have the option to manually create a different Page where you can display the dashboard and you can add additional content to the page too if necessary. In this case the dashboard is added to the page using a shortcode. 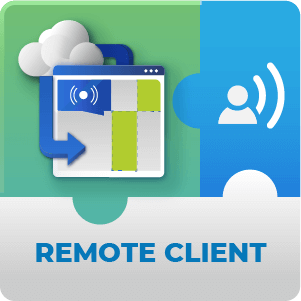 Users will need to be logged into the site with some user role, to give your clients or customers user roles the Registration and Invitation Codes Plugin might be very useful. What kind of information are Users able to see about campaigns through the dashboard? Fixed bug while showing banners.